One of the easiest ways to remove a background or part of a background from an image in Photoshop is to use the Background Eraser Tool. This tool is like a combination of the Quick Selection tool and the Eraser tool, working simultaneously. The Background Eraser tool samples the colour at the centre of the brush, and deletes pixels of a similar colour as you drag around your image. Hereâ€™s how to use it. 1. 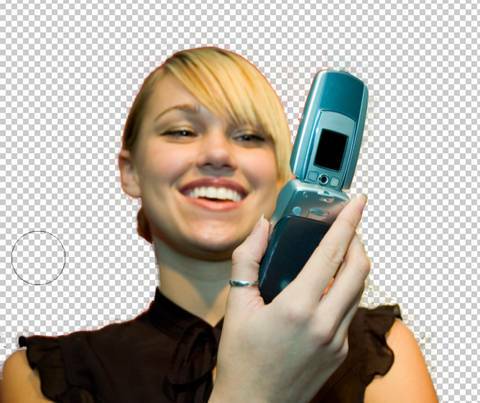 Start by opening an image that you want to remove the background from. 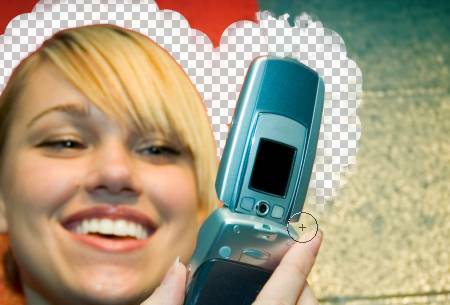 In this example, I want to extract the girl, deleting the background wall to transparency. 2. Select the Background Eraser tool from the toolbox. It may be hidden beneath the Eraser tool. On the tool options bar at the top of the screen choose a large round, hard brush. Iâ€™m working with quite a large image so Iâ€™ve picked a brush size of 100 pixels. 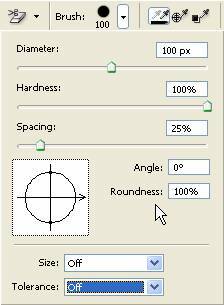 Still on the tool options bar, set the Sampling to Continuous, the limits to Find Edges and the Tolerance to a low number such as 20-25%. A low tolerance means that only areas that are very similar to the sampled colour will be erased. A high tolerance erases a broader range of colours. 3. 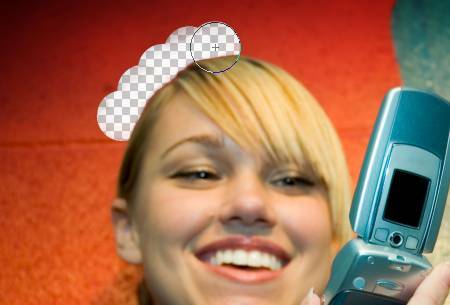 Bring the pointer near to the edge of the person or object that you want to remove the background from. Youâ€™ll see a circle with small crosshairs in the centre. The crosshairs show the â€œhotspotâ€�, or centre of the eraser, and the tool deletes that colour wherever it appears inside the brush. The other piece of magic it weaves is to perform a colour extraction at the edges of any foreground objects. This means that there will be no tell-tale colour halos visible if the foreground object is later pasted into another image. 4. Click and drag to start erasing. There is no problem if you bring the edge of the circle over the edges between the background and the object (thatâ€™s why this tool is so cool) but itâ€™s very important that you donâ€™t drag the cross hairs over the edges. As you click and drag, youâ€™ll see the checkerboard pattern appear in the areas you have erased. 5. Continue erasing around the object. 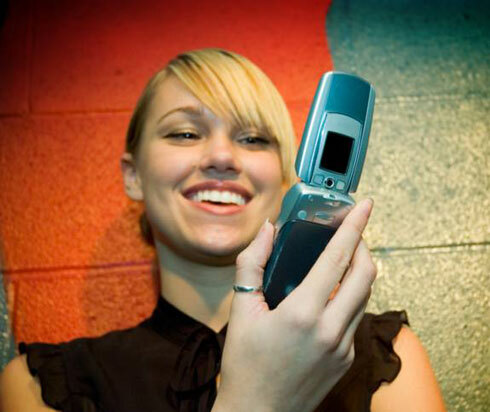 You might find that in some places you will need to reduce down the size of the brush to ensure that you donâ€™t accidentally erase part of the object (for example, around the phone in this image). 6. Once you’ve erased an area the whole way around the object, then switch to the Eraser tool. 7. Choose a very large brush size; you can now quickly and easily get rid of the rest of the background. Once youâ€™ve erased the background, itâ€™s easy to either put in a new one or to take the remainder of your image and paste it into another image.